Time until Star Wars: The Clone Wars – Jedi Alliance release day! 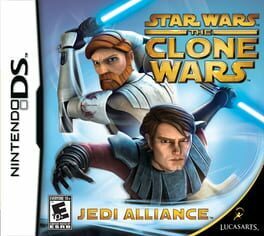 Star Wars: The Clone Wars – Jedi Alliance is an action/adventure game developed and published by LucasArts. It was released for the Nintendo DS entertainment system on November 11, 2008. It is set in the science fiction universe of Star Wars and is a tie-in to The Clone Wars TV series.